Thanks. At first I was disappointed that we couldn't order the RXS 22" AMG wheels but after seeing the RWB 21" AMG wheels in person, I'm happy and looking forward to giving them a home in my garage. ...but per Ron's post not looking forward to cleaning them? I just went to see the 450 at my local dealer/blue with brown/gray interior/natural walnut trim. I don't know if the mb tex brown and gray looks different from the leather, but I'm rethinking my interior now. Has anyone else seen this combo? What did you think? Also, I would have liked to have seen the pano roof, but this one only has the moon roof. My husband, impressed with the size and heft of the car, may go ahead and trade in his 2018 GLS for one. I'm shocked. I have not seen the Espresso/Magma in person, but from the photos I don't care for it - see my post #2498. Pretty sucky color selection for this vehicle, I must say. 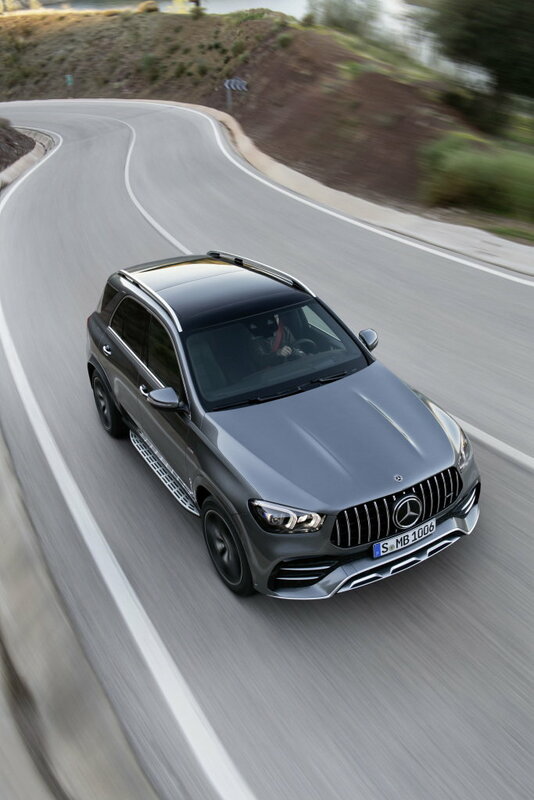 I've seen the MB-Tex black seats in two GLE 350's and the MB-Tex Macchiato in a GLE 450. My wife and I don't care for black interiors and while the black MB-Tex isn't for us, it's not bad looking. I really liked the Macchiato in the 450 and wish I would have talked her into that color. We ordered our GLE with the Espresso Brown leather and I'm holding my breath that I'll like it. If not, it will be a long wait for the next one which will be the Macchiato leather or maybe even MB-Tex. I must admit the MB-Tex in Macchiato was very nice, I thought it was leather until the salesman told me otherwise. The 450 demo had the AMG Line Exterior and Pano roof which is huge! You'll love it. I was just reviewing the DOG and notice 114A Espresso Brown (MB-Tex) is not paired with Magma Grey, but 204A is (Espresso Brown / Magma Grey). An omission in the DOG perhaps? The Macchiato / Magma Grey look great together in MB-Tex so it likely looks great in leather. It may be the pairing of Espresso Brown / Magma Grey (204A) that may be the problem for some including me. Those colors just don't seem to go together. We'll see. Did yall happen to notice that the Canadian configurator was up as of this morning? And now when I click on it nothing happens? Is this the link you mean? Someone posted it a few days ago. 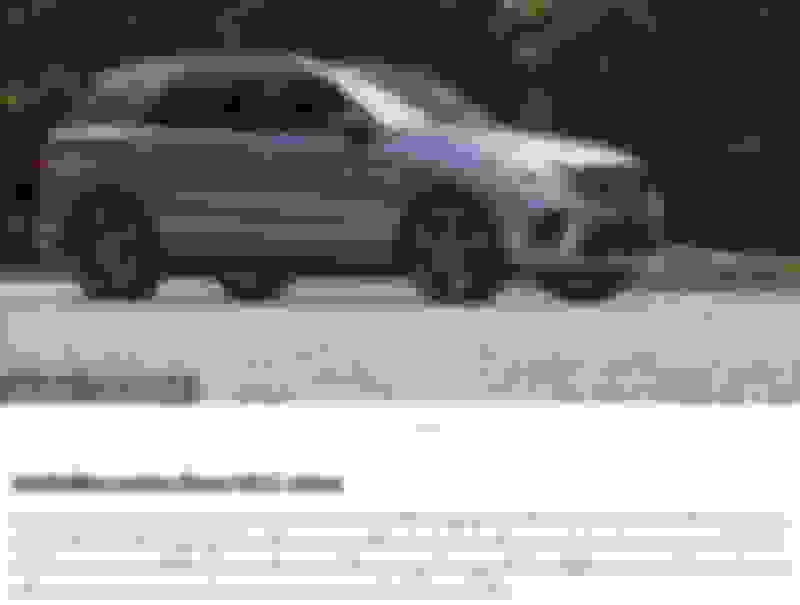 They haven't yet enabled the "Build" button for the new GLE. Here is an example of what I was referring to above. The Magma Grey does seem to go that well with Espresso Brown. Hopefully it looks better in person. We have designo Espresso Brown leather in our GLS 550 but the carpets are also brown. The gray/brown looked so bad (my husband agreed) to me that I'm probably not going to change it unless when I see the leather version this weekend it looks really different/better. 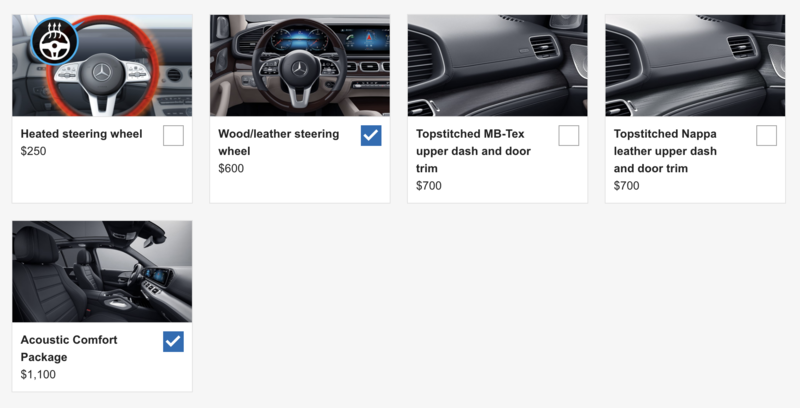 The Nashville mercedes site has a picture of a white 450 with black interior and what looks like the glossy linden trim. It looks very very nice. Yes, it is. The photo of the MB-Tex one is identical to the leather. Also, in the German guide ARTICO espressobraun/magmagrau is listed. You mean you are going to change it, correct? Don't wait so long that your order locks - that happens without warning. I doubt the leather version will look much different, only smell different! Last edited by GregW / Oregon; 02-28-2019 at 06:05 PM. 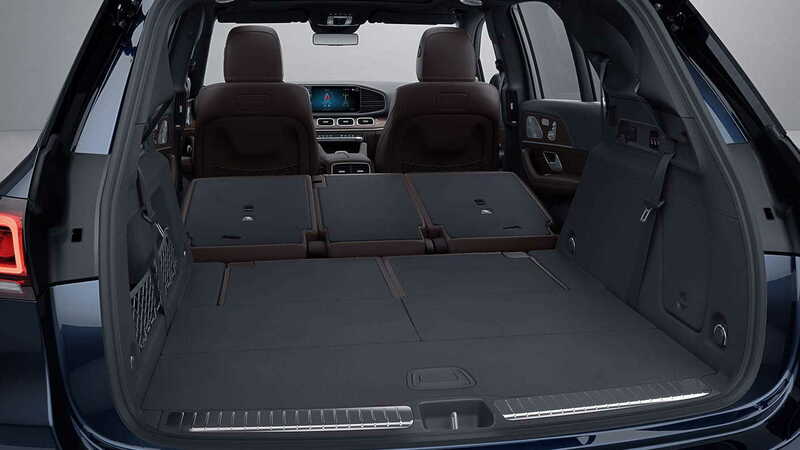 will order the black leather, and get the car in white (probably, but dang that gray looks very nice). Just wow. The Selenite does look good (like in the GLE 53 promo materials) - wish I had gotten it. With the grey I would spec the Night Package. yes, the night package is a possibility, I like with and without. The Selenite does look good - wish I had gotten it. With the grey I would spec the Night Package. Well, I still may get the polar white. I think they both will look great. And both will look good with black interior. I think the console trim is piano black if one gets the metal weave? Yes it is piano black. 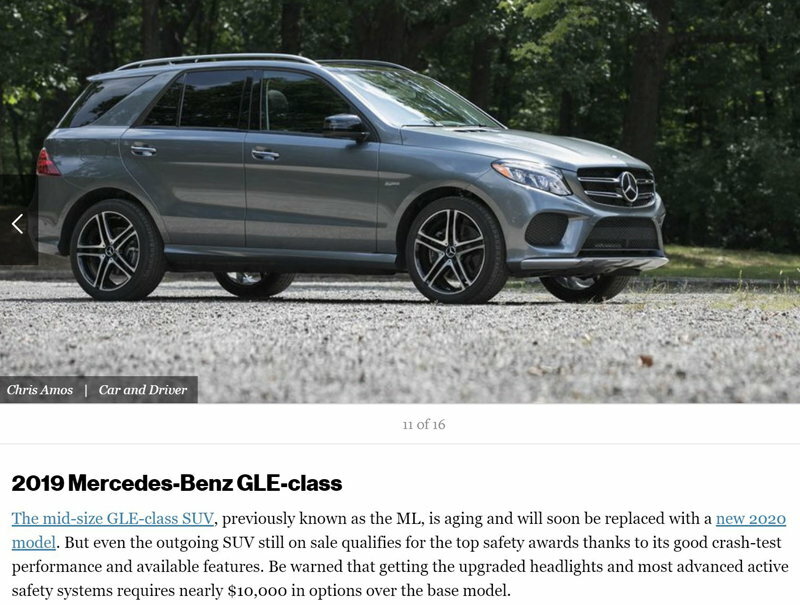 Both the current GLC & GLE are in the top 8 safety picks according to Car & Driver. They both get top ratings according to NHTSA & IIHS. I'm sure the new models will be at least as good. And the GLE is official now on MBUSA...with the "build" option.!! 1. In the DOG you can select Heated steering wheel and Wood/leather steering together but not on the configurator. It's one or the other. 2. Just like in the DOG Nappa Leather or MB-Tex is the same price for the Upper dash and Door trim. 3. The Nappa Leather Upper dash and Door trim option ($700) is only available with the Black/Magma Grey Nappa leather, no other colors apparently. Last edited by JoeMa; 03-01-2019 at 06:35 AM.